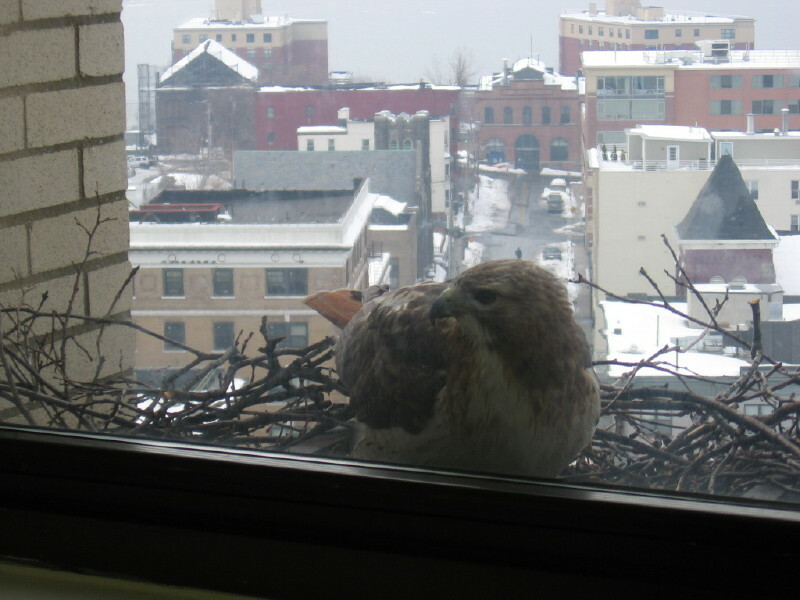 In February, a pair of Red-tailed Hawks began to build a nest in the window of a tenth-floor conference room in Yonkers, NY. Over the next four months, Jerry and Beverly—who work in that office—watched and documented the red-tails as they raised their chicks. Many thanks to Jerry and Beverly for agreeing to share their photos and videos, and thanks to James for passing them on to me! 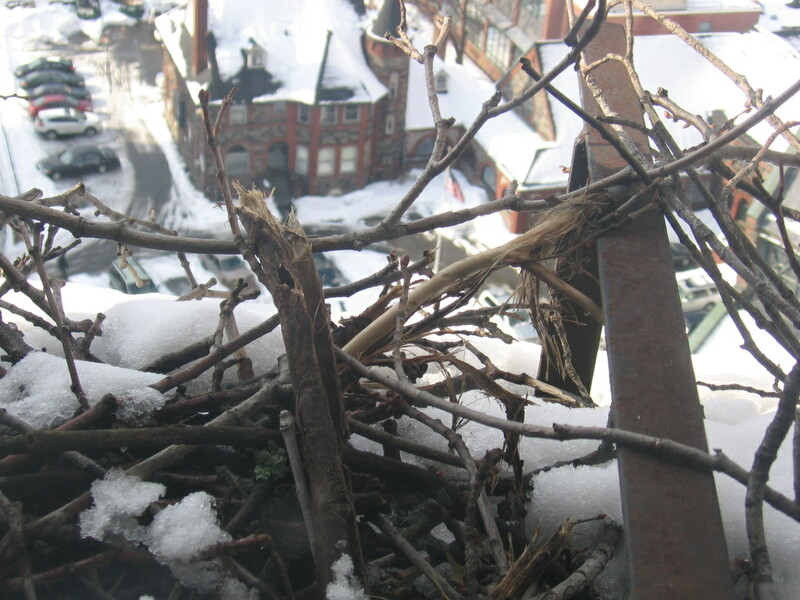 One of the adults at the nest. Red-tails like their nests to have a commanding view of the surroundings; you can see that this fits the bill nicely. The season of the summer disaster movie is upon us: Godzilla is stomping San Francisco, and I’m sure we’re all eagerly anticipating the premiere of Sharknado 2. To liven up the cinemas a bit, as a relief from the overabundance of sequels (I mean really, Sharknado 2! ), I would like to propose a new genre mash-up: the animated talking birds disaster movie. It would be like those dancing penguin movies, or the solemn-looking owl movie (I have seen none of these…), plus disasters. The first one could be called Hailstorm! It would not be a children’s movie. It would be terrifying. It hailed on us a few days ago for about half an hour. The hail was mostly small, not larger than 1 cm in diameter, and the only animal reaction I saw was a decidedly alarmed chickaree—although to be fair, chickarees almost always look alarmed. 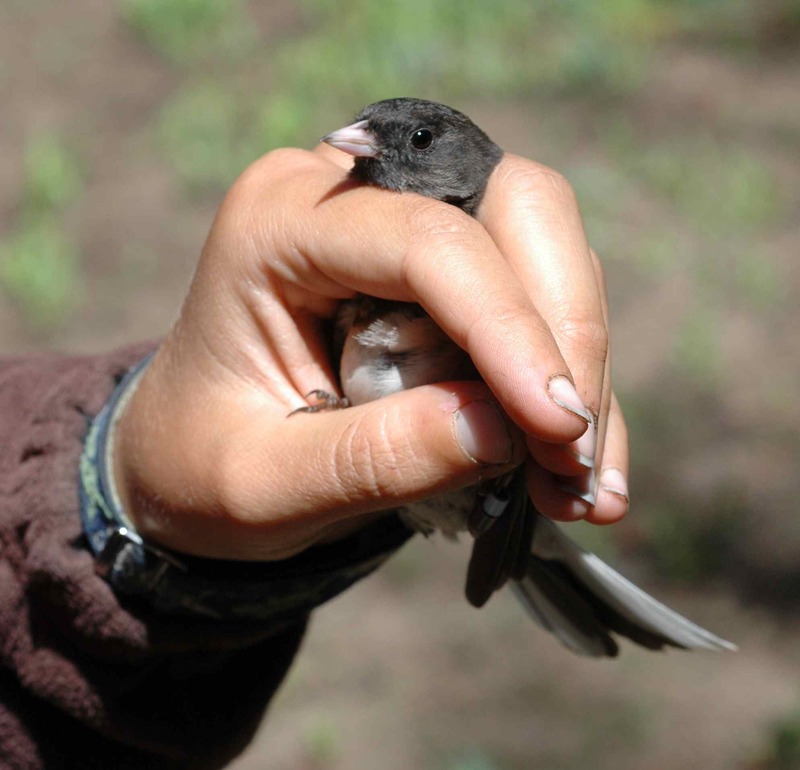 I saw no evidence of damage afterwards; all of the junco nests we were monitoring weathered the storm just fine. 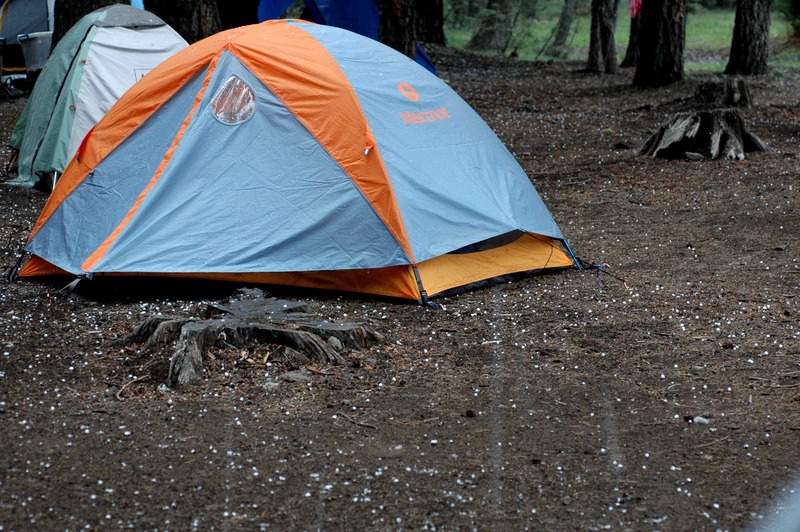 You know the hail isn’t too bad when you can safely hide from it in a tent. But sometimes hail is a sharper-fanged beast. This is my third field season. For all that I’ve been tweaking my techniques every year, it’s all starting to seem… familiar. 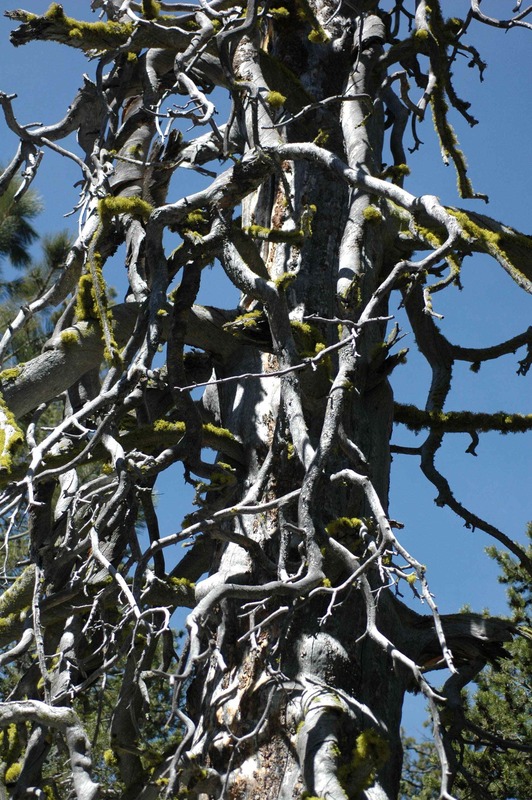 There’s that crazy tree… again. 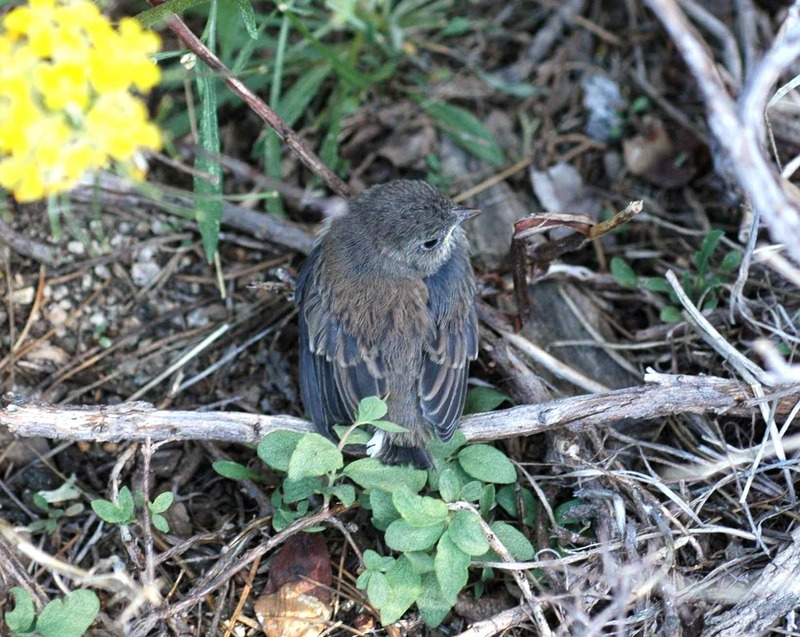 The juncos don’t seem to be used to it yet, though. ES-A does not find this at all familiar. It’s all new to my new field assistants, too, not to mention all the new young lives starting at our field sites.